Once upon a time Doctor Stephen Strange was a brilliant surgeon and an arrogant man-of-the world seduced by material wealth. One fateful day, a tragic car accident deprived him of his surgical skills. After hearing rumours of the mystical Ancient One, Strange went to the East to ask this mystical master to cure his hands. The Ancient One refused and instead offered to teach Strange in mysticism. Stephen Strange became the Ancient One’s student and later the Sorcerer Supreme – earth’s first line of defence against magical menace. I know, all of the above sounds a bit corny. Frankly, until recently I wouldn’t call myself a Doctor Strange-fan. Since Strange is one of the residents of the Marvel Universe, he frequently guess-starred in comics I read, be it Amazing Spider-Man, The Fantastic Four or Avengers. However, the fair Doctor did make an impression in those stories, and maybe that’s why I picked up a big pile of Doctor Strange-comics when I came across them in a sale at a local comic book store last year. After reading a couple of these comics from the late eighties, early nineties, written by Roy and Dann Thomas, I was hooked on the wonderful mystical world in which Strange operates. I also grew fond of his interesting and weird supporting cast: his apprentice is a green alien bull and his brother a vampire, to name just two oddities that stand out. Also it seems that the mage has become quite a nice guy and seems a total different person from the selfish surgeon he once was. 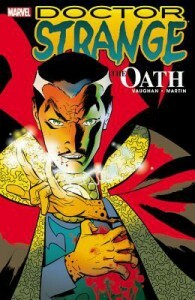 Currently the good doctor doesn’t have a series of his own, but every once in a while Marvel Comics publishes a limited series, like The Oath: a five-part story that got collected in one volume in 2013. 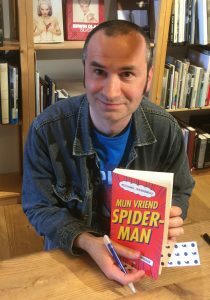 The Oath is written by Brian K. Vaughan, best known for intelligent and entertaining series like Y: The Last Man, Ex Machina and Saga. The artwork is by Marcos Martín, who uses a wonderful personal style that looks a bit retro while still feeling contemporary. In The Oath, Doctor Strange’s servant Wong is suffering from a brain tumor. Medical science may be unable to treat it, but the master of the mystique knows of an elixir, which is kept in a deadly dimension, that might cure his good friend. After fighting a monstrous entity that guards the elixir and returning home, they soon discover that there is more to this elixir than meets the eye. When a burglar is hired by a big pharmaceutical company to steal it from Strange’s house, the Sorcerer Supreme gets shot during the robbery. 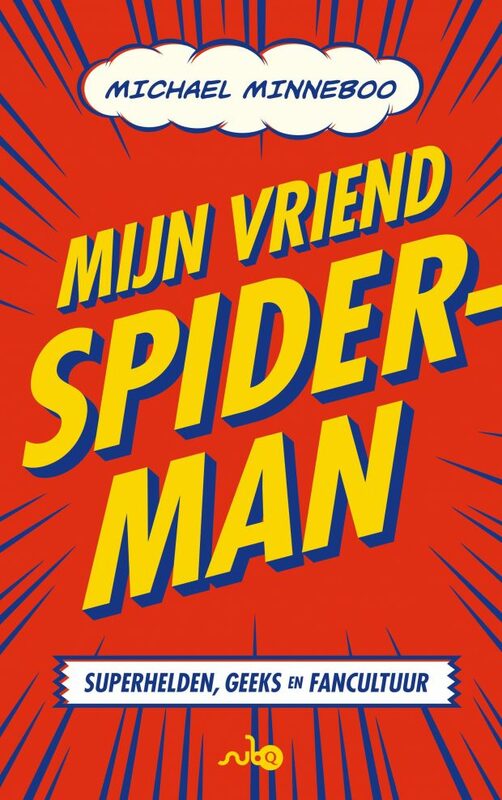 Vaughan treats the reader to an interesting and fast-paced story that has a couple of unexpected twists and turns, and ties Doctor Strange’s past to current affairs. He also manages to put forward an ethical dilemma within the relatively limited confines of the superhero comic book, which makes it even more interesting. Two things bothered me a little bit, though: knowing Strange from the stories by Roy Thomas, Vaughan’s characterisation of Strange seems a bit off when he lets the doctor curse and swear. I am not against swearing in general and in the past I have heard the mage exclaim stuff like: ‘By the hoary hosts of hoggoth!’. But hearing mundane curse words coming out of the mouth of Stephen Strange seems a bit out of character. Another thing that bothered me is this: in the past there were stories in which Strange’s hands were cured and he could operate again. In The Oath the fact that Stephen’s nerve endings aren’t fixed is an important part of the story. This could be an error in continuity, but since it is not clearly stated when The Oath takes place within Doctor Strange’s history and it therefore could be a tale from the early days before his hands got fixed, I am willing to turn a blind eye. 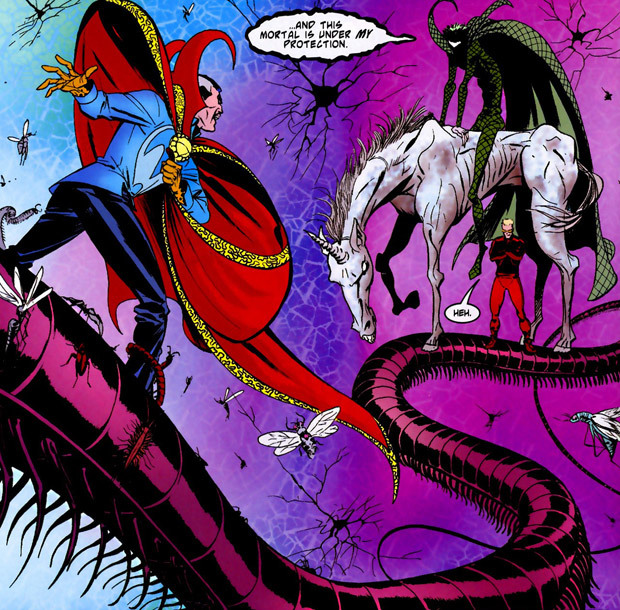 Since I probably sounded like a total continuity nerd just now, I will stop rambling, and leave you with the recommendation that The Oath is a pretty good start if you want to get to know the wonderfully groovy world of Doctor Strange. This review was published on the wonderful blog of the American Book Center.